No, Compass isn’t acquiring the National Association of Realtors and RE/MAX agents didn’t just rediscover the lost city of Atlantis. 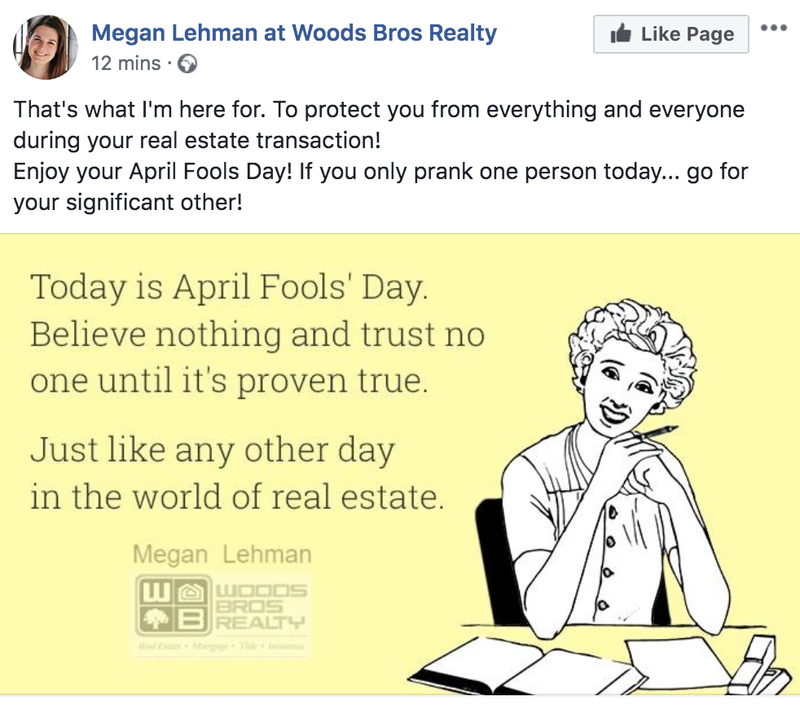 Those and others are just a few of the real estate-related April Fools jokes circulating today on the internet. Both individual agents and large brokerages have been pulling out their inner jokesters throughout the day — in some cases, posting pranks that have left real estate professionals genuinely worried. Such was the case when Vendor Alley founder Greg Robertson published an article saying that Compass was acquiring NAR. 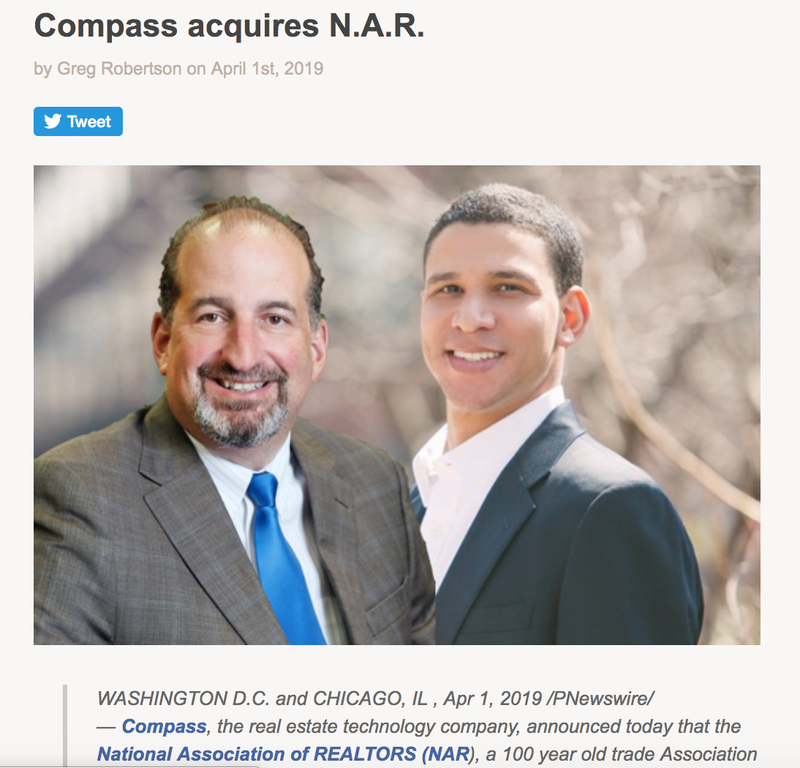 “With the addition of NAR, Compass’ national team will represent all real estate transactions in the country going forward,” the joke article reads. RE/MAX sent out a Twitter post saying that its agents had discovered the lost city of Atlantis — evidently a prime real estate opportunity for homebuyers and investors. Real estate tech platform Homesnap, meanwhile, got in a dig at Zillow with a YouTube video that pretends the latter has started sending leads to listing agent for free. Some democratic socialists in New York, meanwhile, woke up to news to news that would have made them jump up in fright — that the Real Estate Board of New York had sponsored their progressive publication. Ok this is a pretty good April Fool’s joke. As some have pointed out in the past, April Fools’ Day can also be a great marketing opportunity as shocking news can drive thousands of people to one’s site. Both agents and brokerages used the day as an opportunity to post all manner of real estate-related jokes and memes.